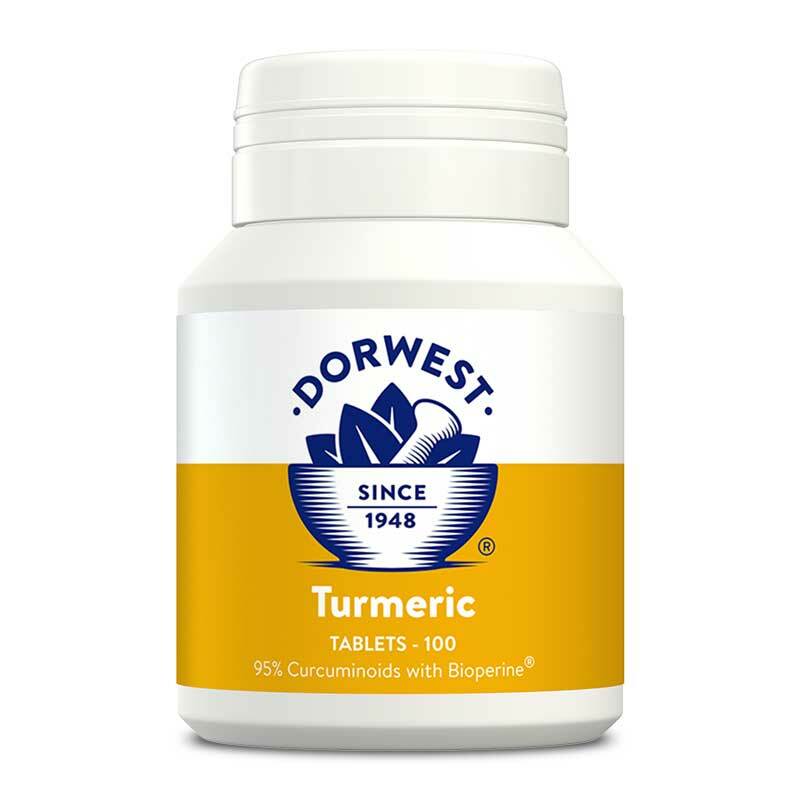 Dorwest now offer this quality source of turmeric herb (Curcumin) which is extracted from the whole root and contains 95% curcuminoids. 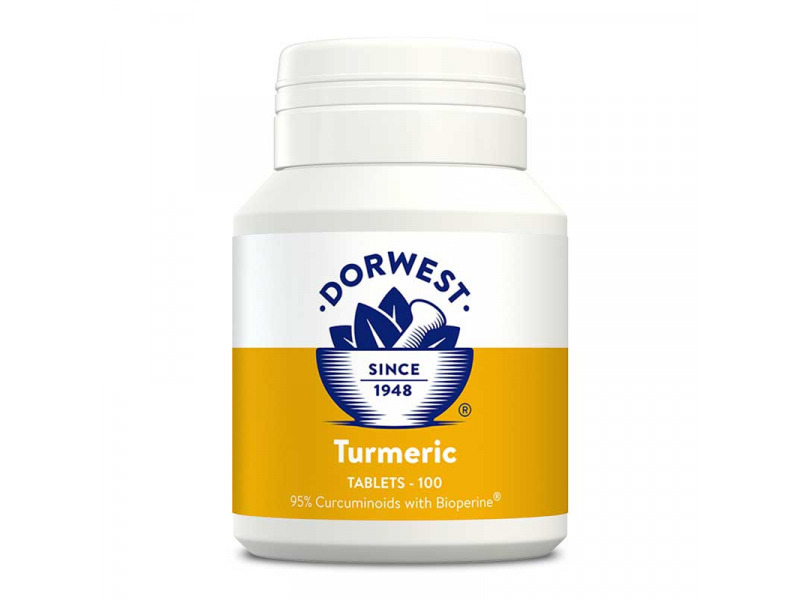 Turmeric is extremely well documented and is widely used to support the body’s natural anti-inflammatory processes. 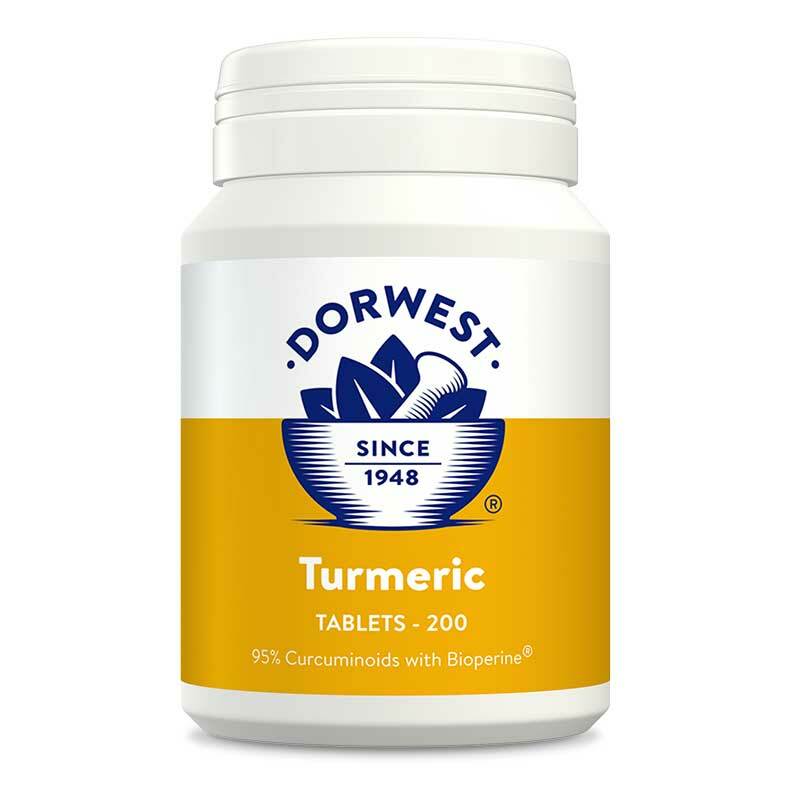 The turmeric extract in these tablets is traditionally grown in its native region of Southern India using sustainable small farming methods and it is renowned for its purity and full traceability. 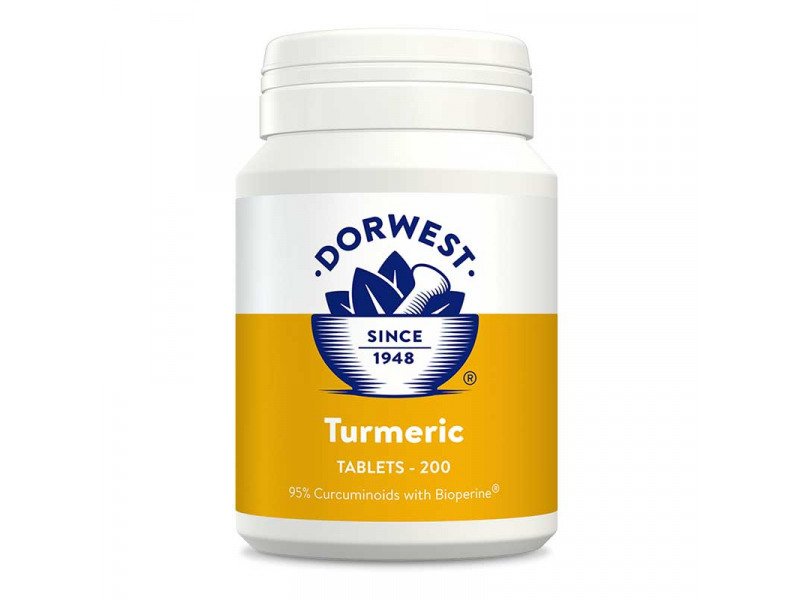 Below are some recent questions we've received regarding Dorwest Turmeric Tablets For Dogs And Cats, including answers from our team. What would be the daily dosage for a Labradoodle weighing 42KG ?? Administration: Small dogs and cats <10kg: 1 tablet, Medium dogs 10 - 25kg: 2 tablets; Large & GIant dogs >25kg 3 tablets. Recommended to be given for a minimum of one month. For the first week it can be advisable to start at a lower dose and build up.